Like most young actors, when I first started out I had to augment the pittance I was making with work on the side. From 2001-2003, I was an actor in a young company at The Warehouse Theatre in Greenville, South Carolina under John Woodson and Monica Bell. 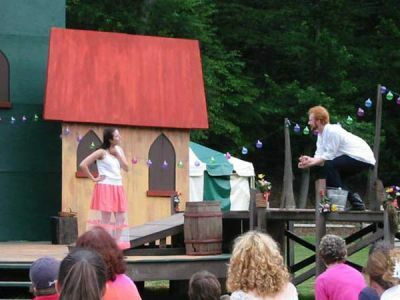 I also acted and designed with the Upstate Shakespeare Festival and The Distracted Globe w/ the terrific Jayce & Anne Tromsness. As Benedick in the UpSF production of Much Ado About Nothing. I also designed the outdoor stage. It was a really exciting two years where I matured as an actor and was prepared for graduate school at the Professional Theatre Training Program at the University of Delaware, which I began in 2003. During my time in SC, I taught as a substitute in the public school system, worked at the Fine Arts Centre under Roy Fluhrer, and helped develop a week-long Shakespeare residency in the county school systems which continued for some time. 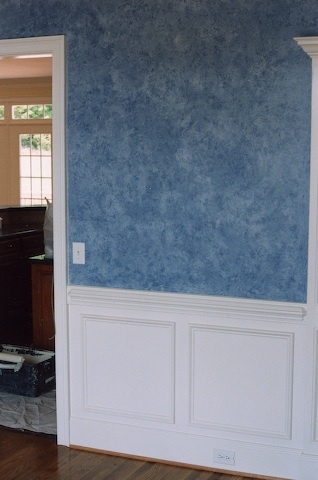 Beyond this, I also started doing faux painting and mural artwork, which was both fun and fairly lucrative, though the work was sporadic. I would typically do faux painting of new dining rooms; two to three simple textures on top of a previously painted base coat. Later, in 2007, upon graduation from the PTTP, I raised funds and spent a month in Hangzhou, China leading a public mural project at a state orphanage. Here is a portfolio of some of my mural paintings. A truncated version of my artistic portfolio.